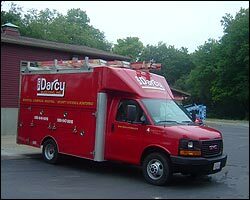 Massachusetts Electrician: CF Darcy Electric, Inc. located in Middleboro, Massachusetts. 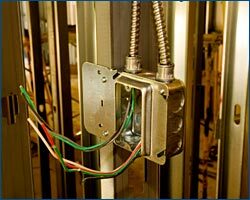 Master Electrician providing Commercial, Residential & Industrial Electrical service as well as Aerial Bucket Service and Security Systems & Monitoring. 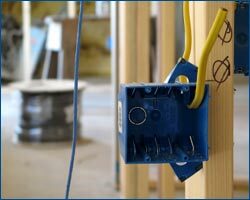 If you are building a new home, we will help you lay-out and design all of your electrical needs before the project starts. From kitchen lighting, recessed lighting, under counter lighting, rope lighting, special plug locations, holiday lighting, auto timer control for lighting and plugs, low voltage access lighting. We will work with your builder or GC to make the project come in on time and at the same time giving you what you want in your home electrically. Your help in setting up homes is greatly appreciated. Please accept my apologies for not thanking you sooner for fixing my hot water heater. It is so comforting to have Darcy Electric near by. © 2007 CF Darcy Electric, Inc. All Rights Reserved.